3 How to get your Spotify Wrapped? It’s that time of the year again, time to wrap up. If you’re like me, you’re probably trying to figure out and review all the things that you’ve done throughout the year. If you used Spotify to listen, we’re only a few clicks away to the ultimate discovery (a little exaggeration). It’s really that easy, just a few clicks I promise. Spotify calls it Spotify Wrapped. Spotify is one of the most popular music streaming services based in Sweden. It gives you access to millions of songs and other content (podcast, videos) from artists all over the world. The service is available in most of the Europe and Americas, Australia, New Zealand and parts of Asia and Africa. Starting from 2013, every December Spotify has allowed users to view a personalized review of their year, a way to look back at their most played songs, artists, etc. The feature is called Spotify Wrapped. It’s basically like “Year in review” of Facebook (if you’re familiar with that). And Spotify Wrapped is a Spotify application which does all the magic behind the scenes. It is so cool that, it can tell how many times you actually listened to your favorite artist. Ain’t it cool? Cool for me, at least! There’s more Spotify Wrapped can tell you. It can also tell you that Drake is the most streamed artist of 2018 with 8.2 billion streams which makes him the most streamed artist of all the time. Ariana Grande whereas is the most streamed female artist. Yay for all the Drake and Ariana fans out there, you made this happen! But, what about us? Let’s find out! How to get your Spotify Wrapped? The moment of truth arrives. With the steps defined below, you can discover your personal listening habits (at least Spotify thinks so). Connect your Spotify account by clicking on button that says ‘Connect with Spotify’. A pop up will appear asking you to sign in to your Spotify account, if you haven’t already. Once you’re signed in, just click okay. Voila! We have it, your 2018 musical memories, in front of you (this can be emotional). For Artist can make 2018 Wrapped with statistics like no of Streams, Fans, Hours and Countries. 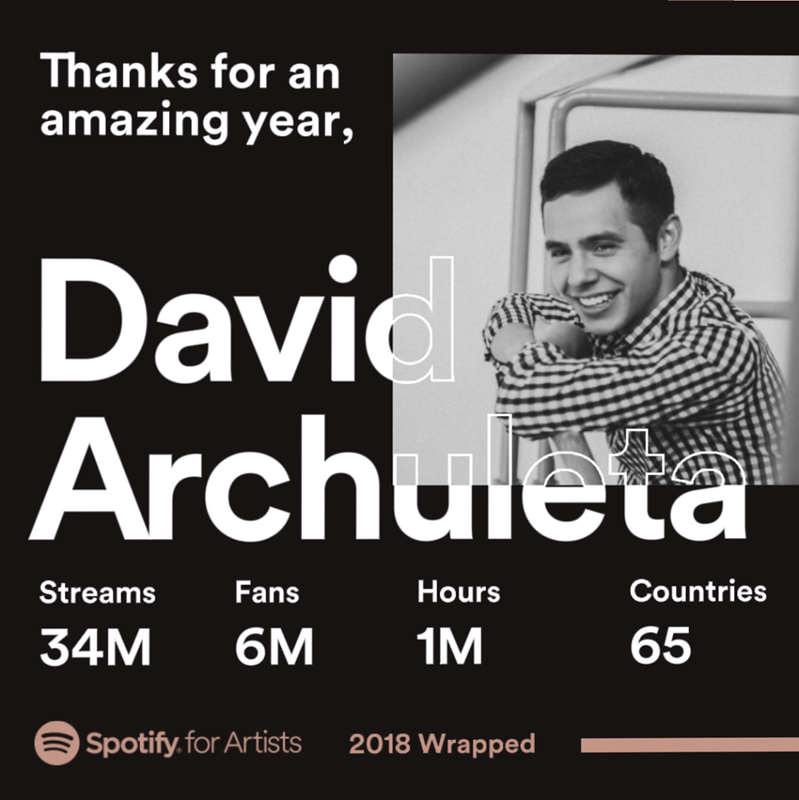 Here is 2018 Wrapped for David Archuleta, you probably know him from the song ‘Crush’. With some click you can get your 2018 musical memories. For artist it will provide the relevant statistics information about their musics and fans. 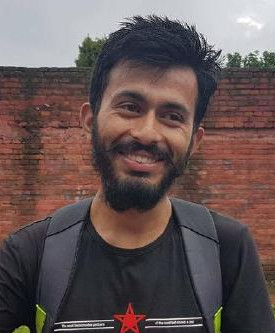 This article was contributed by Ashish Tiwari. Thank you!